Fleetwood Mac continue to dominate on the Australian Album Charts with the largest impact shown on the Catalogue Charts. The Very Best Of 2 CD set remains at # 1 this week, with Stevie's Crystal Visions Best Of CD moving up a notch to the top 5. Rumours makes the largest move - back into the Top 10 at # 9. 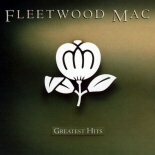 Fleetwood Mac's Greatest Hits slides two places to # 20. On the Top 100 Albums Chart albums are pretty much holding except for Stevie's In Your Dreams dropping 11 places to # 100. Fleetwood Mac's The Dance DVD re-enters the Top 40 DVD Chart at # 37. # 37 (24) - Lindsey Buckingham - Songs From The Small Machine: Live In L.A.
Third week sales for the week ending November 20th and chart date December 3rd keep Lindsey's new DVD inside the Top 40 - but dropping significantly to # 37 from # 24 last week. This will likely be the last week for the DVD on the chart. iTunes Australia - Right Now! iTunes New Zealand - Right Now! iTunes UK - Right Now! iTunes Netherlands - Right Now! Wow, it's a replay of the US- she just can't get many sales while breaking her back promoting the ''new'' cd, yet the catalog cds thrive. If Australia retail and online stores totally remove 'Rumours', 'GH', 'Crystal Visions', and 'Very Best Of Fleetwood Mac' from stock, there would be no choice but to buy "IYD" and it could do as well as the old releases have, both in Australia and America while 'IYD' suffers, in comparison. Here in The States, temporarily make 'Rumours' and 'VBOFM' and perhaps all of her cds but 'In Your Dreams' unavailable or out of print, and the dang 'IYD' cd will sell! People who want Stevie Nicks music will have no choice other than to buy 'In Your Dreams'. OR, repackage IYD to include a bonus disc of 'CV' and it could re-chart. Where I think her record company could do more is lower the price of IYD in Australia especially with her on tour. The new album is selling for practically twice the amount as CV or FM's Best of and Rumours. Doesn't make sense!